When your last two films were the horror masterpiece Let the Right One In and the intricate and beautiful adaptation of John Le Carre's Tinker Sailor Soldier Spy I guess critics are going to bash anything you do which isn't a tour de force. I guess you can't just go and make a tight yet bleak thriller for shits and giggles featuring a strong cast and centering a classically charismatic self-destructive hero who could headline a franchise. No you put out something that is less than perfect and it gets slaughtered. And The Snowman isn't perfect. It feels over edited and there are some leaps in logic which are likely due to such editing. But is is tight and tense. Fassbender plays likaebly unlikable very well. The film sets him up as a fascinating character with possibilities to go beyond this one story. I guess we may not be getting that which is too bad. Tomas Alfredson has shot Norway in a chilled beauty which remains understated yet gorgeous. 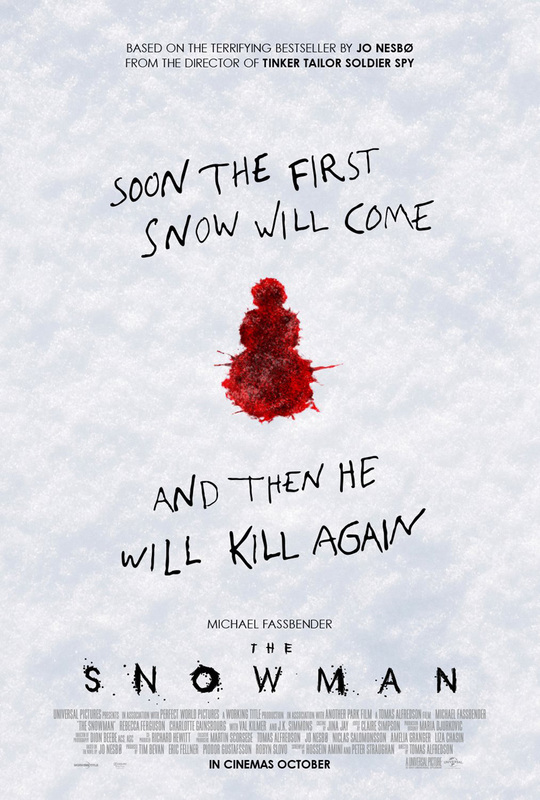 The violence inherent in the story is set in stark contrast to the cold serenity of its surroundings, like the film's blood splashed across the snow. There is a timeliness to the film as well whose plot features men's anger and violence towards women at a time when the discussion of this is reaching a critical mass. The film is about how men in their entitlement destroy the women around them and how that cycle continues. 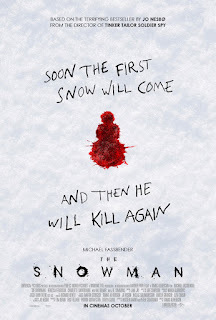 So The Snowman isn't going to go down as Alfredson's best work. It does feel a bit like slumming, but not in a failing kind of way despite the film's editing which feels like the studio afterward trying to make it into something it is not. The film's marketing seems to show that it doesn't really get the film it is trying to sell. This is more the kind of slumming where he wanted to try to do something different and while he didn't hit the bull's eye he still made a pretty good shot.